Ok, so unless you’ve been living under a rock for the past few days, you’ll know that popular kids TV show Pokemon recently launched as an interactive app and the world has gone a little crazy for it. I’m not even ashamed to say that I downloaded the app to see what the fuss was all about as soon as it went live on the App Store, and within minutes I was addicted. Now one of the celebrated things about the game is that it encourages users to get off their bums and out and about in order to ‘catch ’em all’… Unfortunately for me, I am pregnant and hot and uncomfortable and not really up for long walks chasing pretend creatures. 3. Use every small amount of walking you do each day to your advantage. I walk approximately 2 minutes to and from my car to work each day. 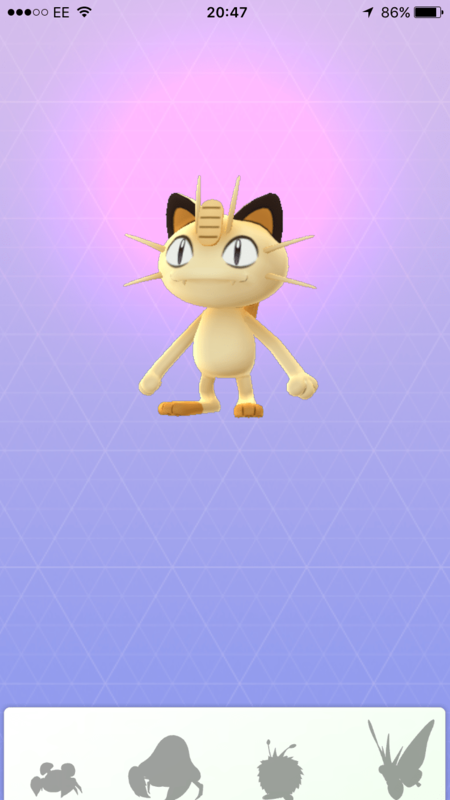 This walk happens to take me by two Pokestops, hello new Pokeballs! 4. 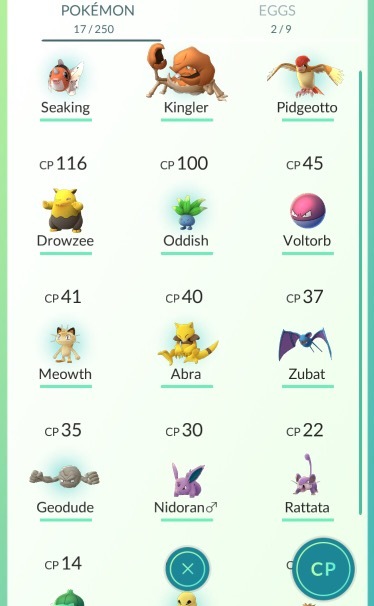 Want to catch more Pokemon/get more Pokeballs/generally feel involved without the exercise? 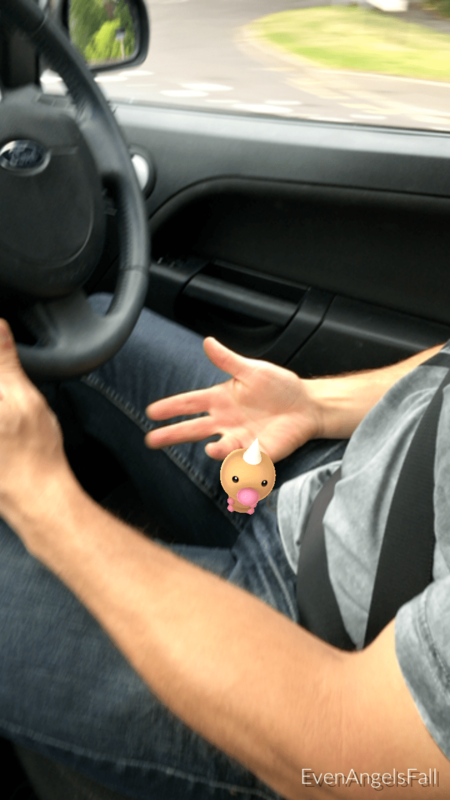 Get in the car (as a passenger clearly, I’m not advocating the idiocy that is playing Pokemon Go and driving). On our journey home from Ed’s work today we drove past several Pokestops and I managed to pick up a dozen balls and an egg. I also got a really cool rock creature (that’s what I’m calling it anyway). All from the comfort of my car. It’s only really achievable if you’re going fairly slow, which was ok for us as it was rush hour and we were driving by the beach during a heatwave, finding the silver lining to a traffic jam! 5. Use every social occasion where you do venture out of your house to your advantage. Dinner with your soon to be in-laws, make sure you check out the closest Pokestops (I got a little too excited when it turned out our meal was in a restaurant which was one!). 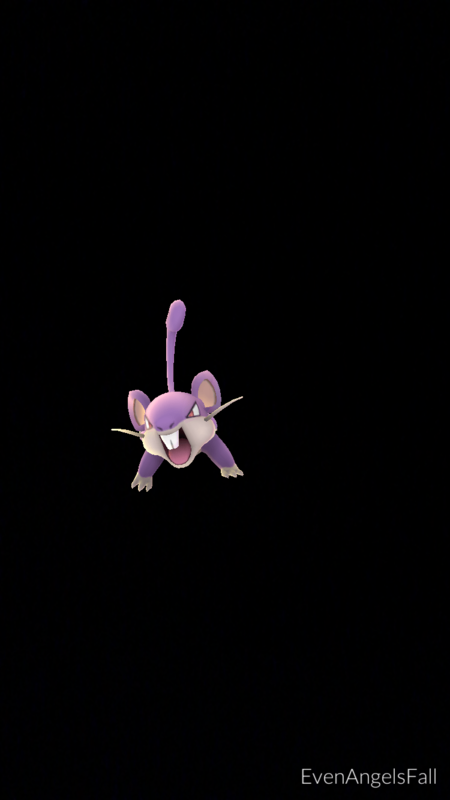 Romantic date night, check there’s no cool Pokemon before going in for that kiss, doing the school run? 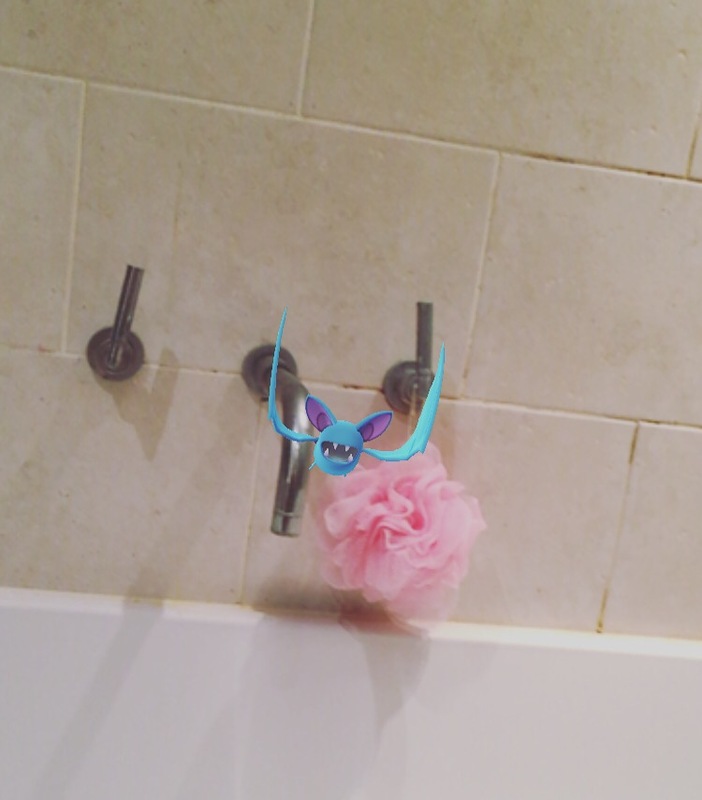 You never know where your next catch might be hiding! Ed still hasn’t downloaded the app (I’m absolutely sure he would be addicted if he did) and swears I’m a loser. I blame the generation gap. He is 9 years older than me and never watched Pokemon as a child. And when celebrities are even getting in on the act, it can’t be that sad. Can it?! P.S I’m writing this at around midnight in bed because it’s too hot to sleep and I totally just heard some guy shout to his friend from outside the window, ‘Oh my god I just caught a Squirtle’ and I was laughing but also a little jealous he caught one of the cutest ones right by me! 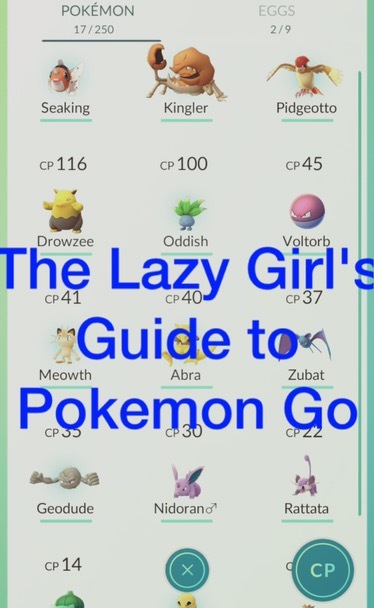 Are you a lazy Pokemon go-er? Have any tips for a fellow exercise-phobe?